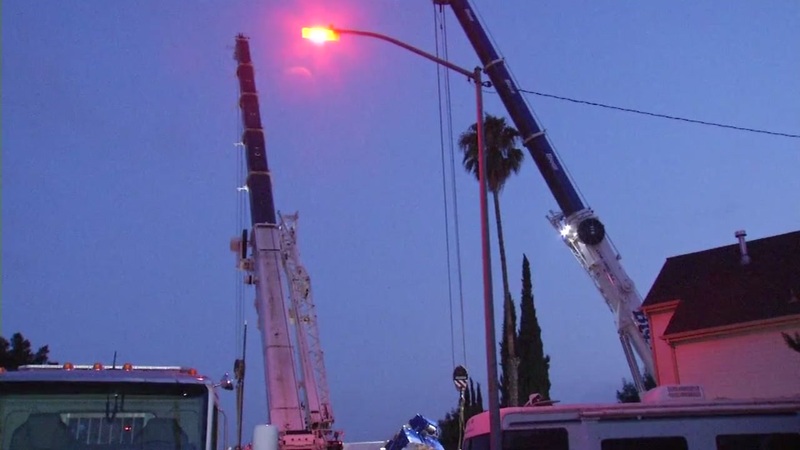 CAMPBELL, Calif. -- A crane that fell on a home in Campbell on Tuesday has been cleared as of this morning, a police spokesman said. The crane was being used to replace a power pole in a backyard when it tipped over and landed on a fence and roof of a home on Sondra Way around noon on Tuesday, police Capt. Randy Berg said. Berg said nobody was injured in the crane collapse. There is no estimate yet for the amount of damage to the home the crane landed on, but photos posted on Twitter by Campbell police appeared to show it caused substantial damage to the roof.